This plant is the crossing of a Purple Kush from California by a Special Kush Canada. Especially versatile plant that gives very good results both indoors and outdoors. It is ideal for cultivation in areas with limited height it usually does not grow much. Its leaves are short and broad with a classic pattern and usually indicates acquire dark green shades purple shades may mark the end of flowering. Forms a dense, compact and completely snowed giving very high performance buds. The aroma of the plant reminiscent pine and has an earthy flavor with hints of grape that is unmistakable. We recommend organic farming to maximize their aroma and flavor. 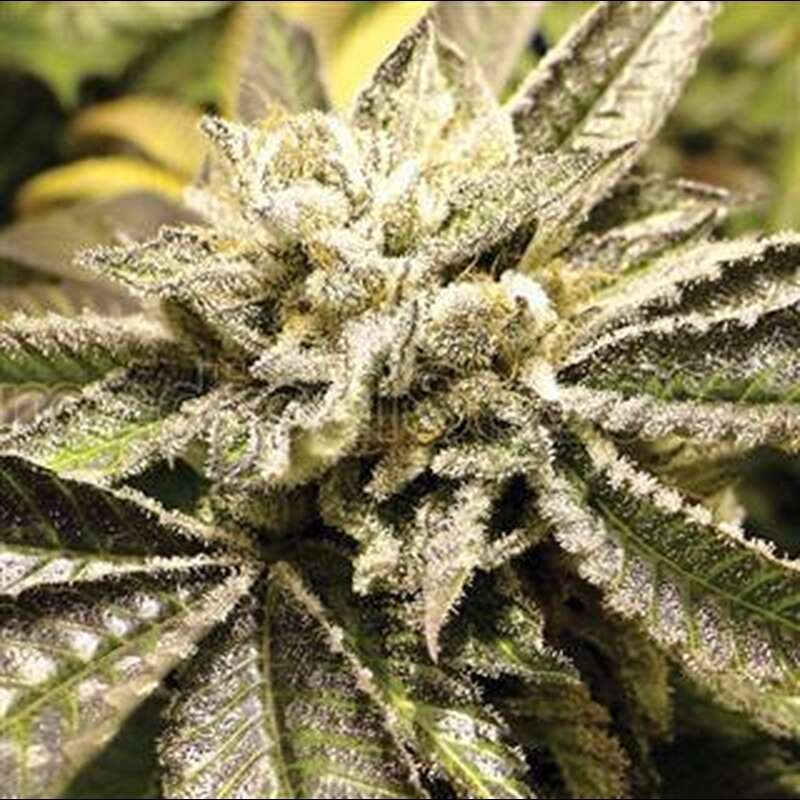 It has a high level of THC that gives a euphoric entry but quickly becomes a rather narcotic feeling, being valued for medicinal level for problems such as depression, insomnia and pain relief. Its effect is strong and can last up to 4 hours in people with low levels of tolerance, and is often characterized by its relaxing effects.